Meijer: Stay tuned for a FREEBIE tomorrow! Last week at midnight our mPerks account's were hit with a FREEBIE!! I am excited to see what tomorrow's is! Stay tuned for more information! 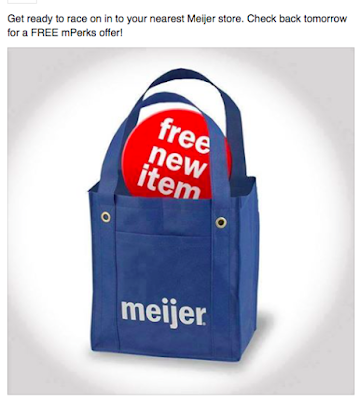 Make sure you join Coupon Saving at Meijer for Meijer related deal's!